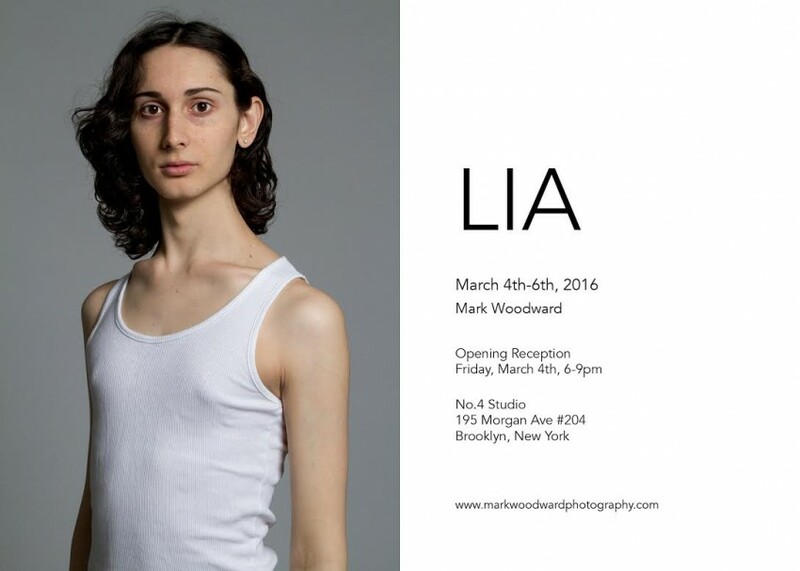 On Friday, March 4, 2016 BFA Photography seniors Mark Woodward (MW) and Megan Paetzhold (MP) will debut “Lia” at the No.4 Studio in Brooklyn, NY. The series depicts the transgender transition of Antonio Romero to Angelita, who goes by Lia for short. 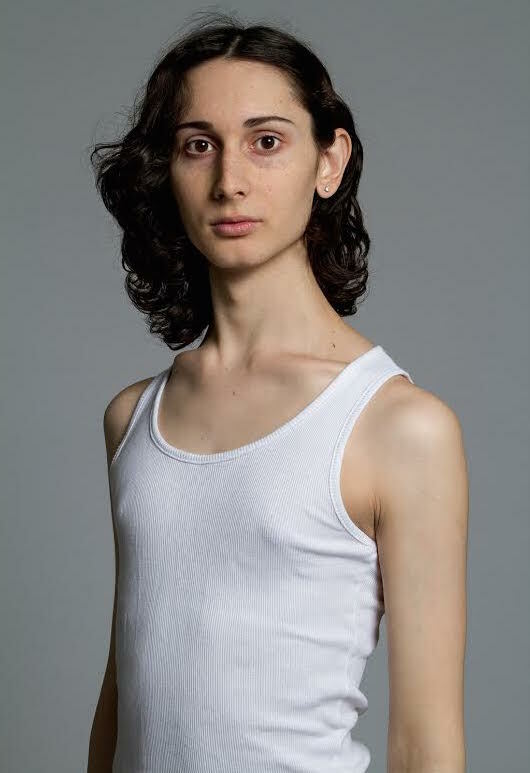 The exhibit, which was curated by Paetzhold and photographed by Woodward over a four-year period, will feature 30 prints documenting Lia’s journey through addressing the topics of transgender transitions and gender fluidity. The exhibit will show from March 4-6th. TJ: So, what made you want to do this project? How did you meet Lia? MW: We were both freshmen at the New School. I knew Lia as Antonio for the first 3 months of our friendship and over the winter break when she publicly started her transition, I was captivated by that primarily from a photography standpoint. Those first few images were a really complex duality between really vulnerable and scared but also having this sort of confidence suddenly emerge. It really interested me on a personal level and I think throughout the whole four years that’s been my ethos. It’s not so much a transgender transition. This story is more of just Lia becoming herself. TJ: What was her reaction? Did you approach her or was it a mutual thing? MW: She knew me as a portraiture photographer back then and I approached her wanting to shoot in the studio. Those first few images were really… I couldn’t put my finger on it – what was happening, but I knew something was happening. I was going to slowly work up the courage to ask, but she actually asked me. I think for a lot of people transitioning, they almost don’t want these moments of difficulty remembered, but what’s amazing about Lia is she’s seeing her story as very honest and wants it to be almost educational. TJ: The first day you all shot, after you walked away from it, what was your initial thought from that day? MW: It’s tricky because I wish I did, like I do now: sit down in a coffee shop with my Moleskin journal and document my emotions, but I was like 18 or 19 then, so I didn’t think it would be a big project. I simply thought it might have been a couple of shoots. I just remember feeling very intrigued. Those first few images were quite androgynous. I think when you start shooting with someone the first time, at least for me, I think I always second guess “Oh, how is our dynamic? What’s our friendship like? Do those picture show that? Do they show attention?” So I think I was thinking more after those shoot “Oh, I hope I made her feel comfortable” as opposed to “Let’s critique the images”. TJ: You’ve been shooting Lia for how many years now? MW: 4 and a half years. TJ: Over that, what kind of growth have you seen in her and the way that she sees herself now? MW: Of course the physical changes were something, which is important to show but I think the images I wanted to show from her growth as a woman weren’t so much as purely glorifying and celebrating. I wanted to show the reality of it. Even when I knew her as Antonio, I remember Antonio being quite introverted, quite guarded whereas now I think there’s just this real inner confidence because she’s wearing her heart on her sleeve. There are a lot of people who have transitioned or are transitioning or about to transition who I think really fight demons of “Do I go for it or do I continue this performance of someone I’m not?” It’s just so brave. I work with a lot of people in the military too and yes that’s brave and rightly so that gets the amount of media it does for people who’ve served in combat or any armed forces, but I don’t think people realize that bravery is not just a physical strength. That’s a huge point I’ve learned from this. How brave it is to be vulnerable. TJ: When you stepped into this journey what were your initial thoughts on joining everything? MP: Well, I’ve known the project for a while. I knew Lia when she was Antonio. Mark asked me a couple of months ago. MP: January. 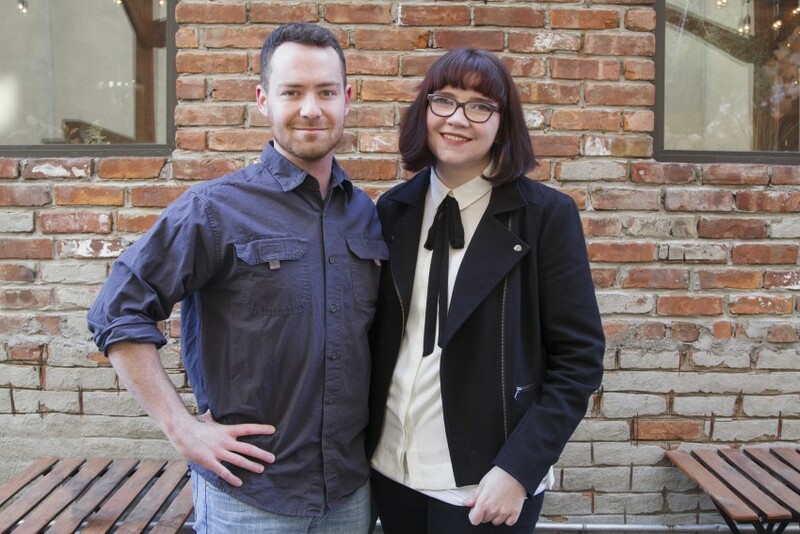 He brought the idea forward of me curating because we’ve worked together in the past. I was just very honored because I know how important the project is between the two of them. And I liked the challenge of presenting this story in a way that more interesting than just A to B and focusing on the physical. It’s not about once the surgery is done: “You’re a woman”. I wanted to focus on that inner transition and go a little bit out of the linear idea of it and make it a more nuanced representation of what you expect the story to be: Beginning, Androgyny, Surgery. Making it more complex. TJ: Did you ever reach a hard point or have to have any kind of breakthrough? TJ: Throughout the whole process, between the both of you? MP: It’s quite the archive. When shooting for 4 and a half years you would expect that. So going from a couple of hundred images, getting it down to 30. Trying to pick the best images to tell that story is a process and it’s hard but, once you get to that point where it makes sense and there’s nothing you want to change, that’s a really good feeling. MW: It was something for me. I was in the project too much. I think I easy to pretend with the idea that you can be emotionally removed from things, but I think that’s total BS. If you’re going to shoot intimate pictures, if you’re going to have someone drop their guard for you, you’re going to get emotionally attached and I think that’s a good thing. I don’t think that’s a bad thing. MP: My goal whenever I’m sequencing and editing is to leave enough ambiguity for the viewer to sort of put themselves in it. And this was a really good project for that. And I think that cutting it down to it’s simplest bones to tell the story but giving you enough to grab on to makes it stronger. MW: Yeah it was tough. This project’s been my darling. MP: We had to kill a few photos. MW: I think I’ve gone into from the start as it’s a friendship. Like it’s never been like “the project”. It’s always been that Lia’s a close friend of mine. We met when were at very key moments in both of our growth and development. I was 18 and she was 19. We’re both in New York City. She was studying theater at the time and I just came here to study photography. I just think we started this whole thing at such a pinnacle moment of both of our lives and because she had such an unbelievable few years it’s always been more of a friendship. It’s been fun. It’s been really fun to just grow up with this person. TJ: I think that’s very descriptive for a lot of people. Especially if you come to a city like New York when you can be a little bit more open about yourself. How do you think her background played into who she became and how do you think that shows in the pictures? MP: You can see Lia’s progression in the series. You can see Marc’s progression as a photographer but you also see the progression of their friendship. And I think you have this mix of these very candid images and these studio portraits, it creates this… you don’t even need to know the background to get the story but it’s there. You can feel it. TJ: How has your working relationship with each other kind of changed and grown through this process? MP: We’ve worked together a lot this year. We have a good working relationship and a good friendship and I think that’s what makes it fun. I don’t work with projects I don’t like. If you’re not in it you’re not going to curate it well. This work is really strong. And giving me a pretty good amount of freedom has been helpful. It’s a collaborative effort but we have a very strict “share all of your opinions” policy and I think that’s been very beneficial. MW: You collaborate with someone for their voice, for their style. You don’t do it for their skill set. I just trust Megan’s gut. MP: If you like at my work and you look at Mark’s work it’s very different. But I think what’s the point of collaborating with someone who’s the same as you because you’re just going to make the same thing. When you work with someone who has a different mindset that you come up with something way more interesting than either of you could have come up with on your own. TJ: So final question. If you had to describe the show in three words, the whole experience up to the exhibit. MP: The show itself or the process or the series? MW: Layered. Honest, and Fun. It’s been really fun. And Lia’s going to be there. When I call her up I’m like “Are you sure you’re giving me all access to the images? I can show anything I want? I’m not holding anything back here”. She’s like “I want the story told”. I know seeing her in that space… yes it’s symbolic, brave and beautiful, but what fun to watch someone have this moment and have their last 4 and a half years celebrated.